CHICAGO -- Suburban Cook County has set a new record for the number of early ballots cast in a midterm election, with six more days of early voting to go. Cook County Clerk David Orr said Tuesday more than 131,000 ballots were cast in the first nine days of early voting. In 2014, 128,011 early ballots were cast. Orr credits efforts to promote early voting and a heightened interest in many races for what he calls "truly remarkable numbers." He says about 80 percent of early voters in the first week of voting were over age 50, and women made up more than half of early voters. More than 1.5 million suburban Cook voters are registered for the Nov. 6 election, a record for the county going back to at least 1990. Chicago, which is in Cook County, has its own election authority. 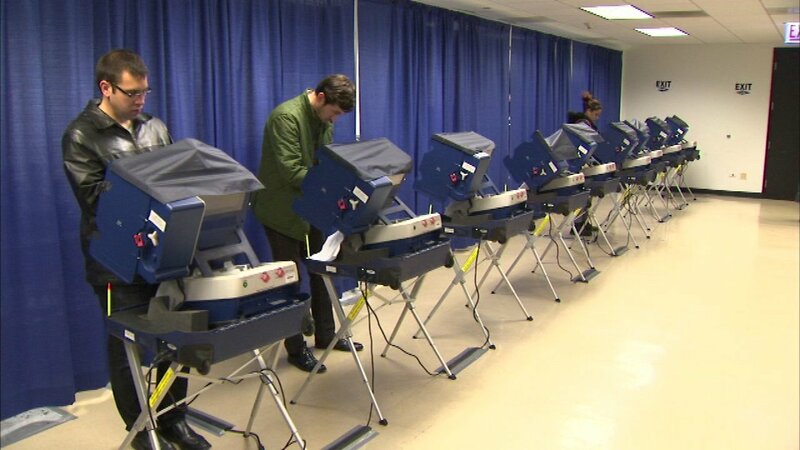 A spokesman for the Chicago Board of Election Commissioners said more than 102,622 ballots had been cast so far in 2018, compared to 63,275 in the 2014 midterm election.